The Daily GRRR! HEADLINES for Mar. 9, 2015. 1. 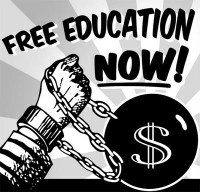 Students and admin at Cape Breton University offer united call for free tuition. 2. Labour stats show women faring no better in ON workforce after 15 years. 3. Gender-based analysis of “hidden” homelessness needed to care for women. 4. Chipewyan mom fights N.W.T. gov to use traditional name on birth certificate. 5. Trans prison guard gets more respect from San Quentin inmates than coworkers. 6. Florida state bill that would criminalize trans bathroom users survives first vote. 7. KW hosts 15th annual Rainbow Reels Queer & Trans Film Fest, March 12-15!